Electric water heater is with two immersion heating elements. One is at the top of the tank, and the other one is at the bottom. Different with gas type, the heating element is inside the tank. Cold water enters from the bottom of the tank, rises to the top as it heats up, and hot water comes out from the top. 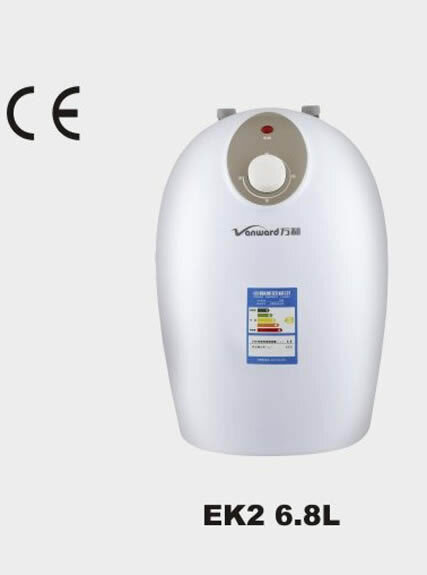 Capacity of tank storage water heater: 6.8L, 10L, 15L, 25L, 35L, 50L, 80L, 100L, 120L to 150L. 1. The tank is made of magnesium rod and enamel, with strong resistance to corrosion. 2. 1.5 kW and 2.0 kW high power stainless steel heating pipe. 3. Precise temperature controller and durable metal outer casing. 4. Protection against overheat, electric leakage and heating without water. 1. 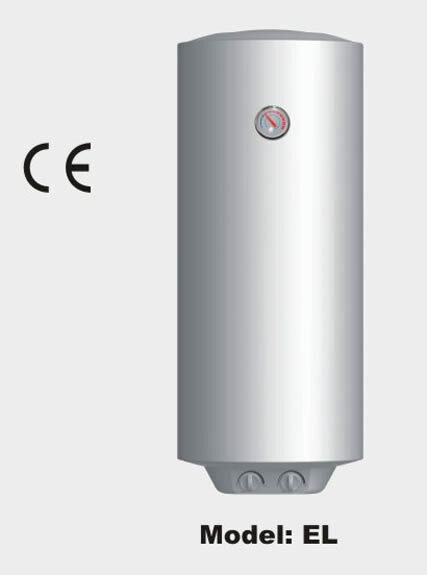 The tank of tank storage water heater is made of stainless steel heating pipe. 2. Precise temperature controller and qualified plastic outer casing. 3. Protection against electric leakage. 1. Tankless water heater can supply hot water continually and adapt to whether changes well. 2. Leakage of harmful gases will not happen, since there is no material generated by combustion. 3. It can be adopted by common families, since electricity is easier to access than gas. 4. Electric water heater is with anti-electricity shock device. 1. 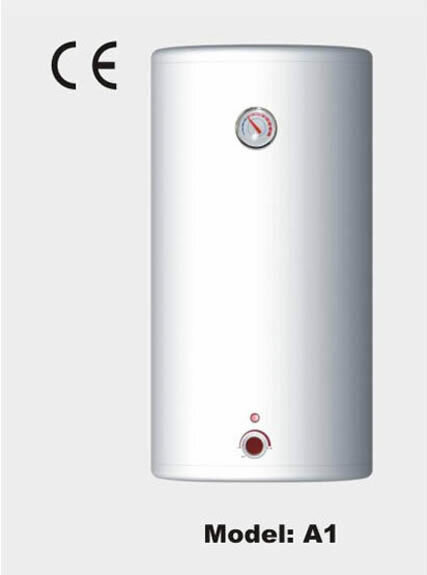 Take water consumption into consideration when choosing tank storage water heater. For example, 35L for two people, 50L for three people, 80L for four people, and so on. 2. Electric circuit must be safety circuit with ground wire, and be installed on solid brick wall. 3. 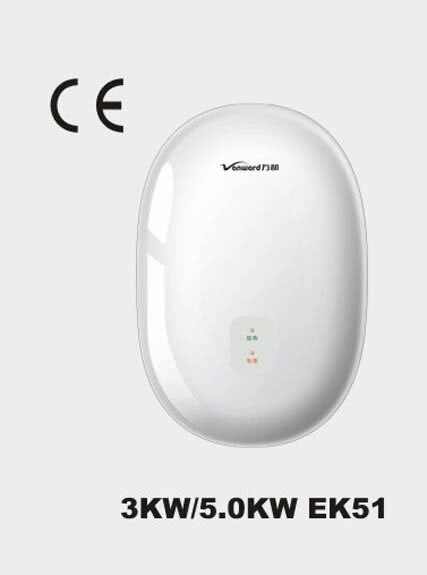 It is electric appliance with high power of 3kW and 5kW and must be connected with high intensity wire of four square. 1. Clean inner tank, dirty and clutter of the sprinkle and filter screen periodically, so as to avoid blocking. 2. Turn off the power supply and inlet valve when not using the water heater for a long time, and keep emptying of the inner tank. 3. Please do not replace part of the tankless water heater privately. Accessories: Relief valve, screws and nuts.